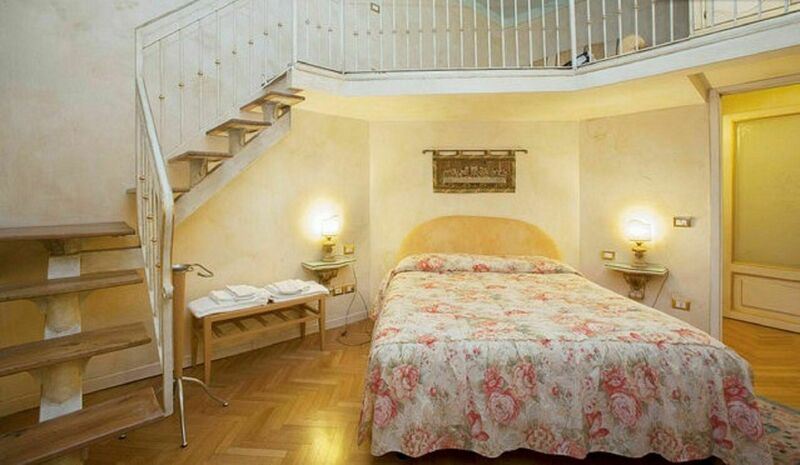 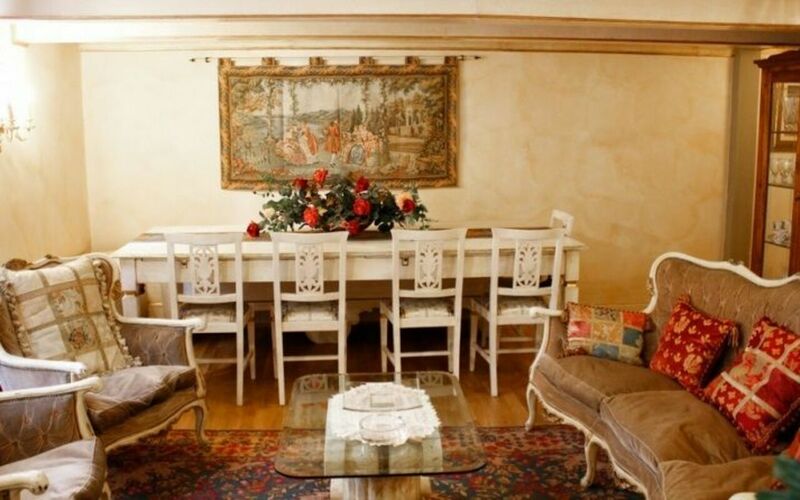 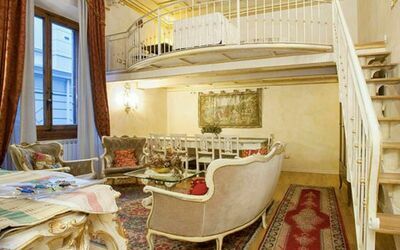 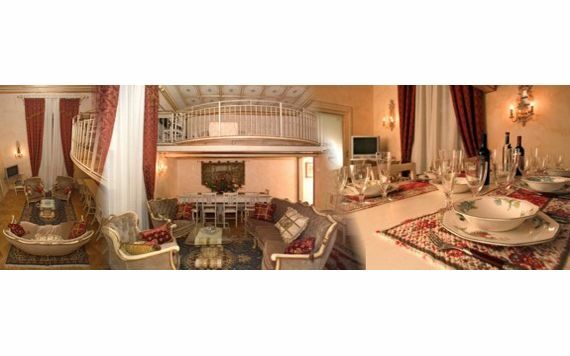 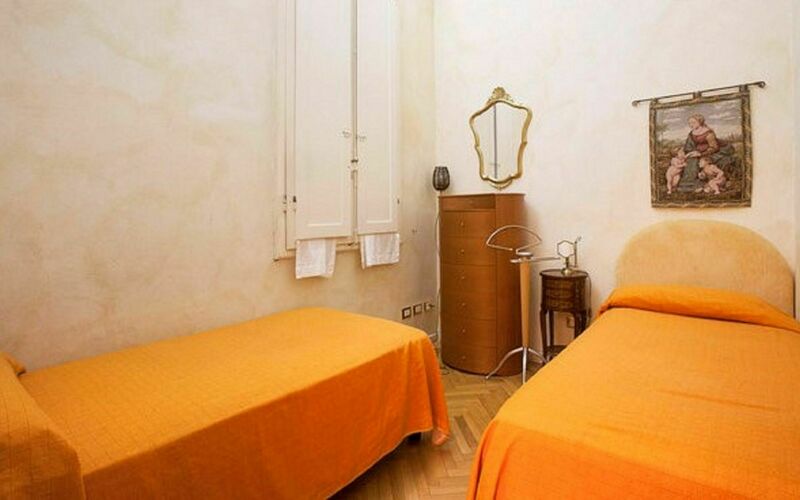 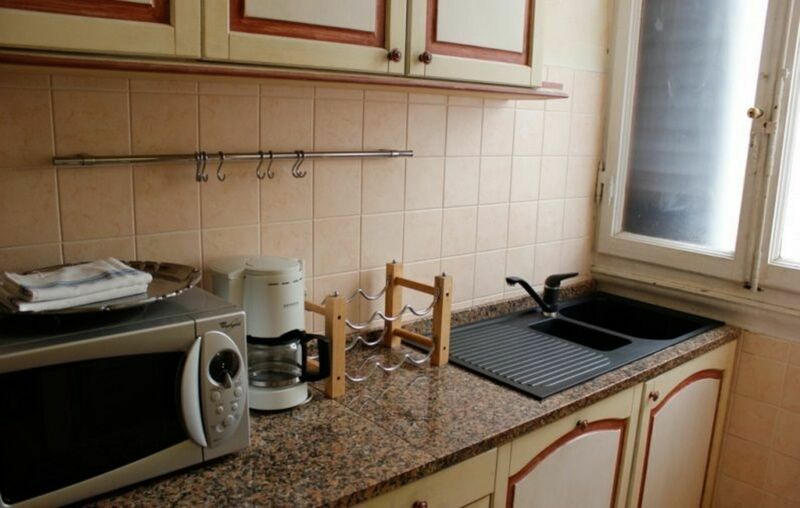 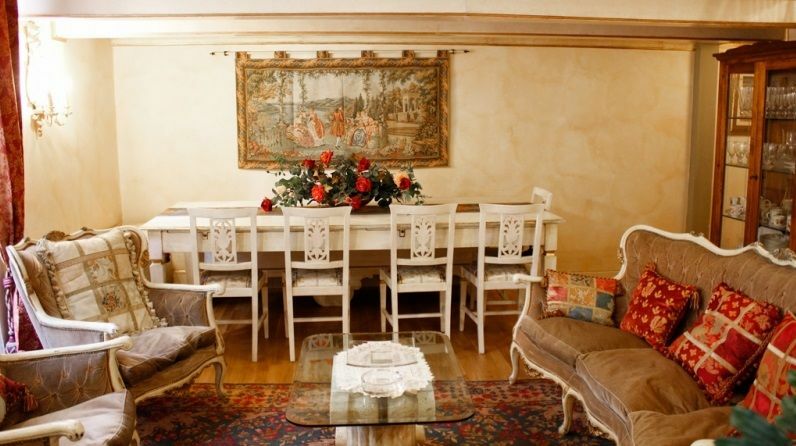 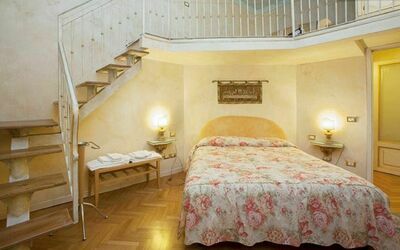 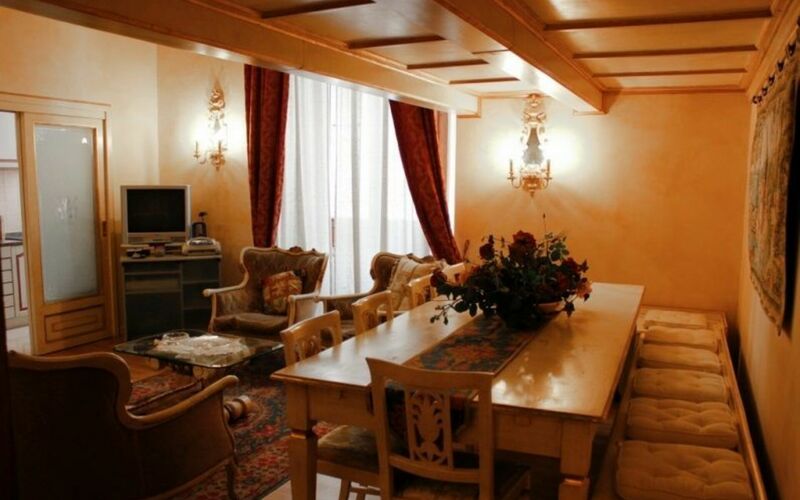 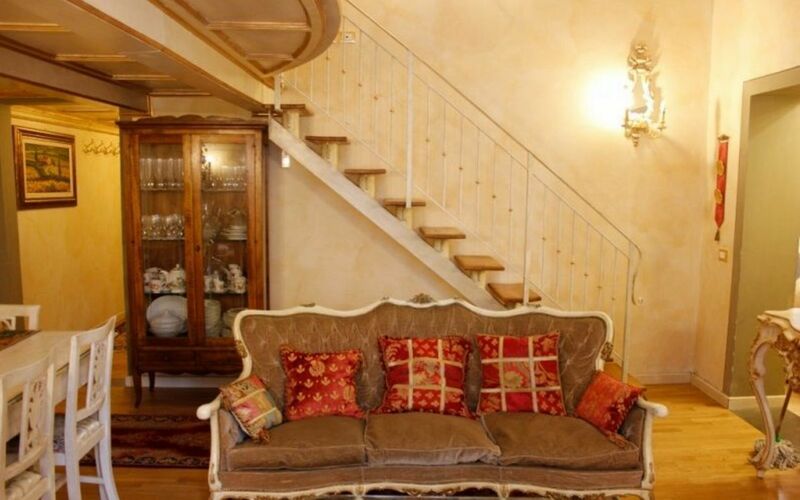 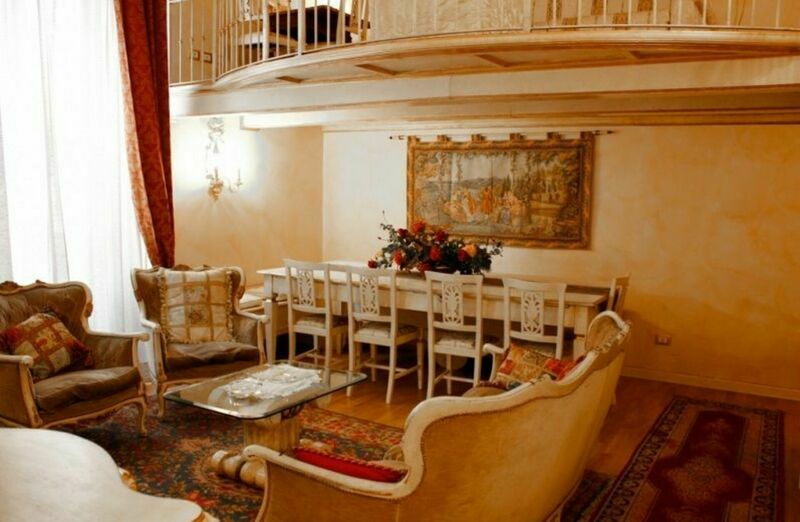 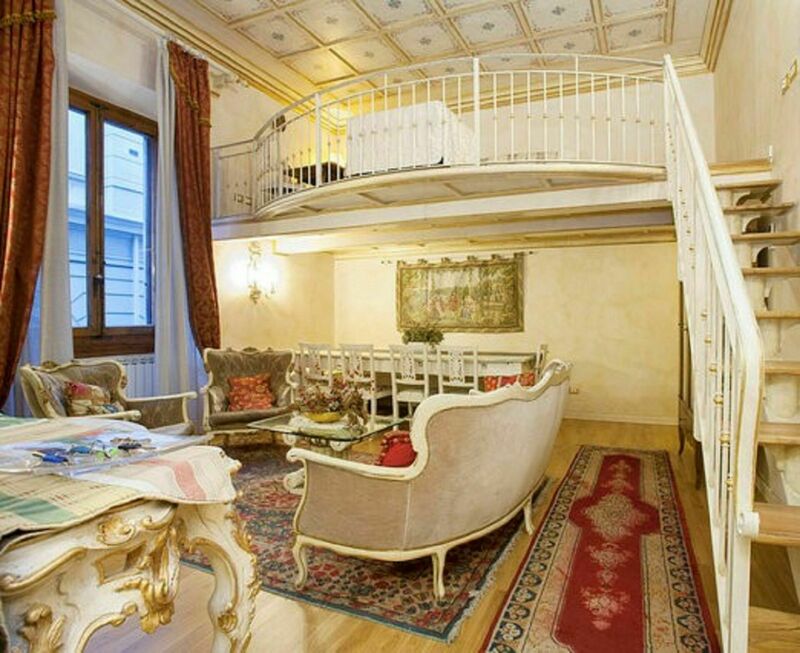 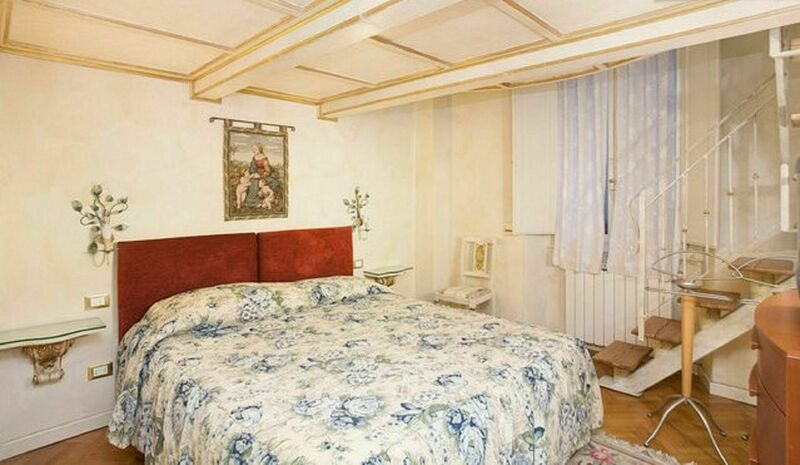 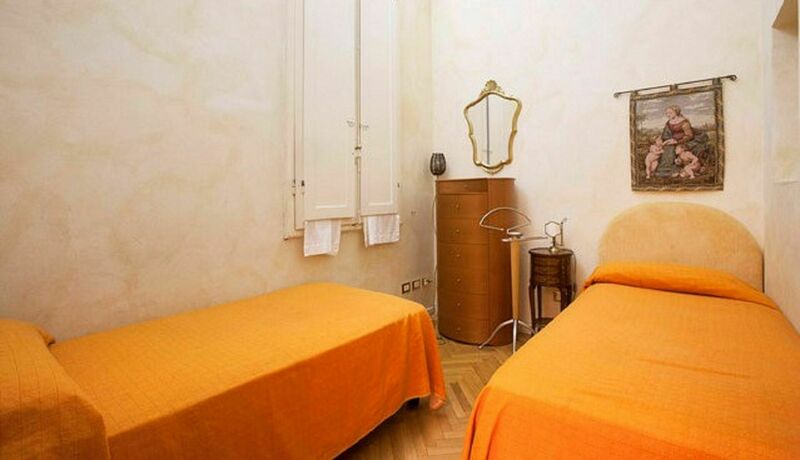 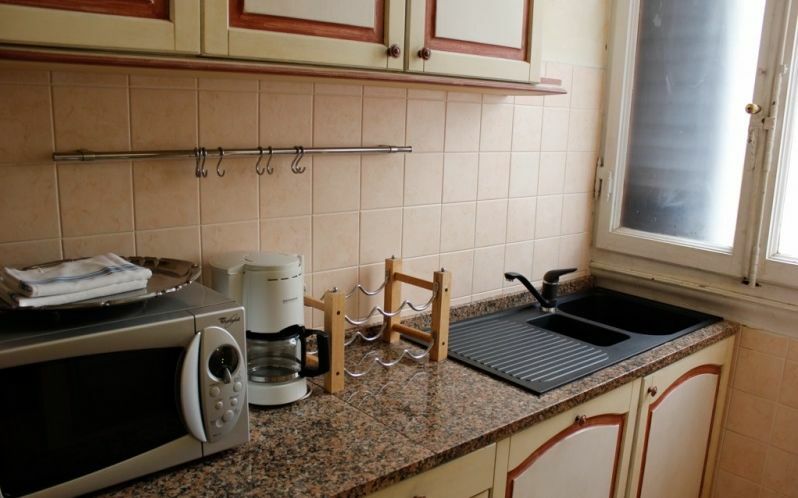 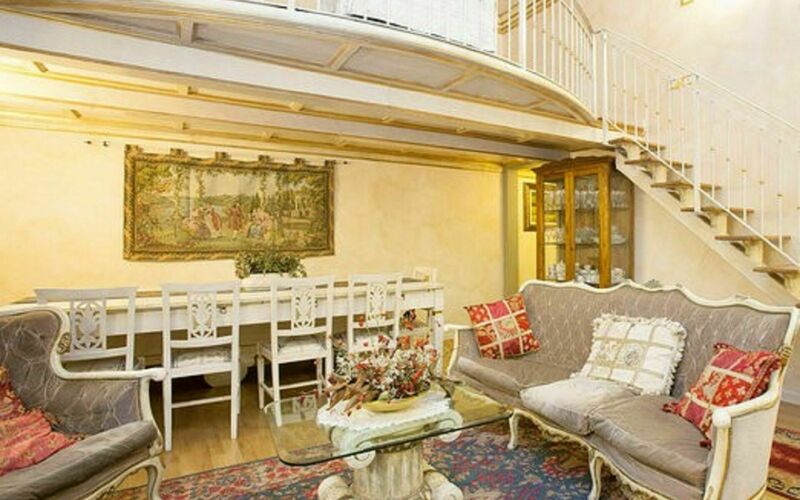 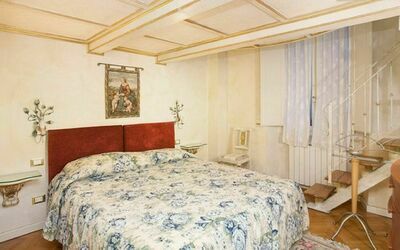 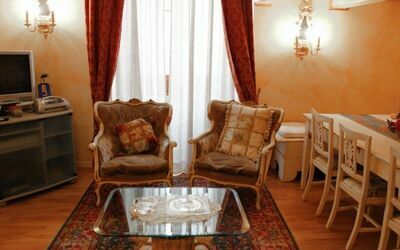 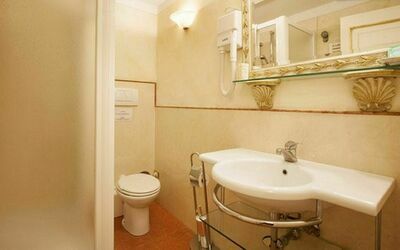 Holiday Apartment in the center of Florence. 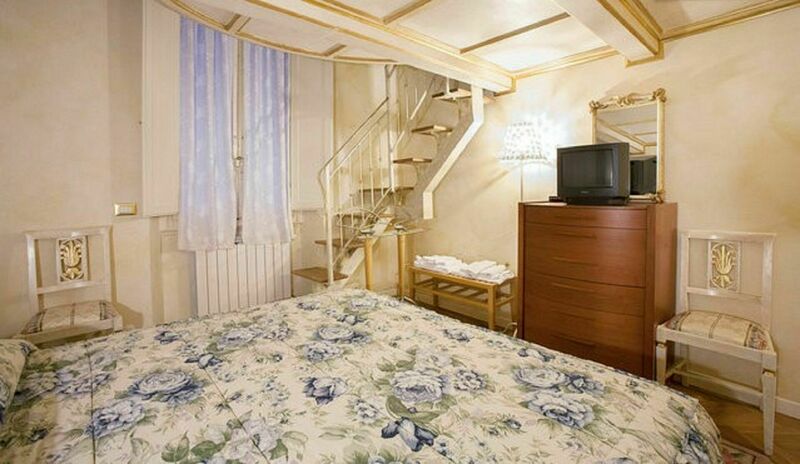 It can host up to 6 People in 3 bedrooms and has 2 bathrooms. 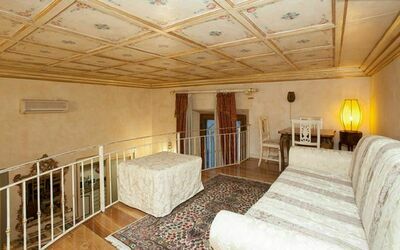 only 5 minutes of walk from Piazza del Duomo, the Uffizi art gallery, the famous Ponte Vecchio bridge. Also you can find Trattorias where to eat typical italian dishes and hundreds of shops. The Holiday Apartment in Florence is located on the first floor (building with elevator) and completely serve by air conditioning. 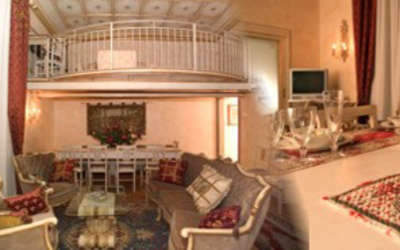 Living room and kitchen have big windows facing the main street. 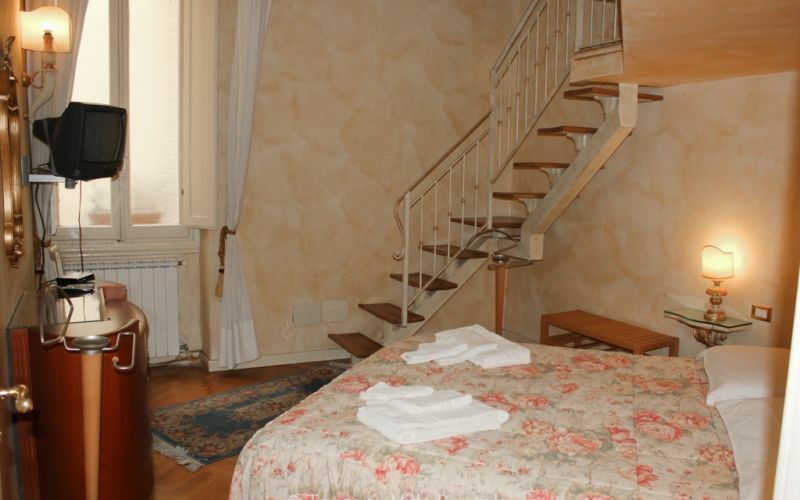 Bedrooms and bathrooms windows are all facing an inner very quiet interior courtyard. 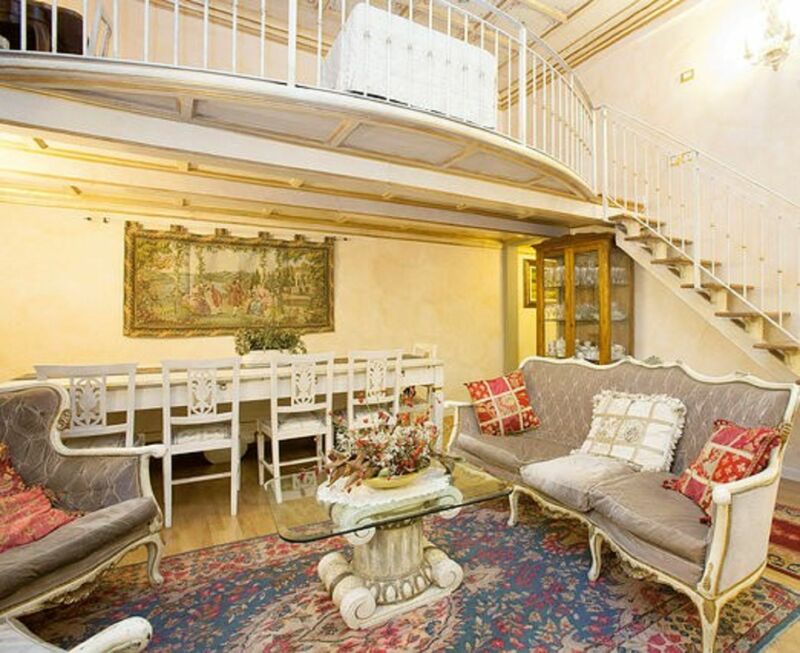 The entry is into a large lounge room with mezzanine. 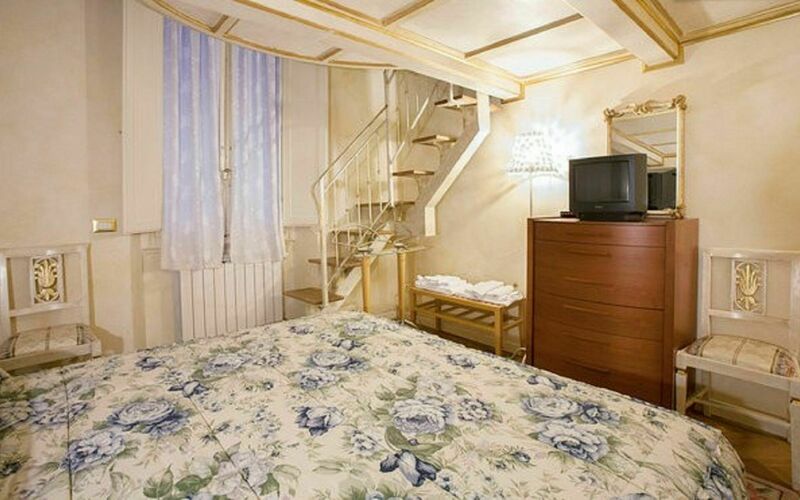 The lower level contains a carved sofa and two matching arm-chairs, sat TV, DVD player, telephone. An open wooden staircase, leads up to the semi-circular mezzanine level, furnished with a sofa and a writing table. 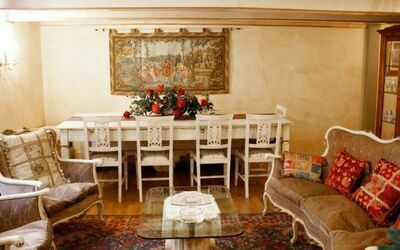 Beneath the mezzanine, the large wooden dining table, decorated benches, and chairs for 10 people. A nice corridor brings into 2 Bedrooms with a 160 cm queen-size bed, TV, and a staircase leading up to a mezzanine level with a wardrobe and a sofa. Another bedroom has got two single beds, bedside table with lamp, a tapestry, and a large painting consuming an entire wall. 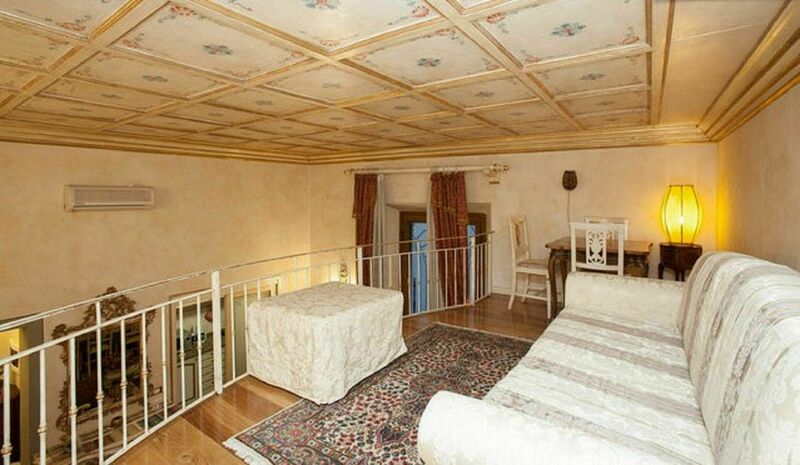 The ceiling in this room has been painted to look like the sky. 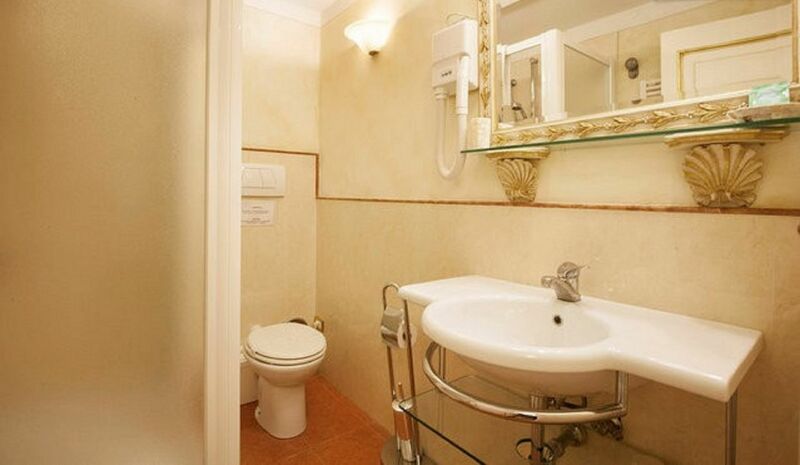 There are two bathrooms, each with a shower, sink, toilet, and hair dryer. 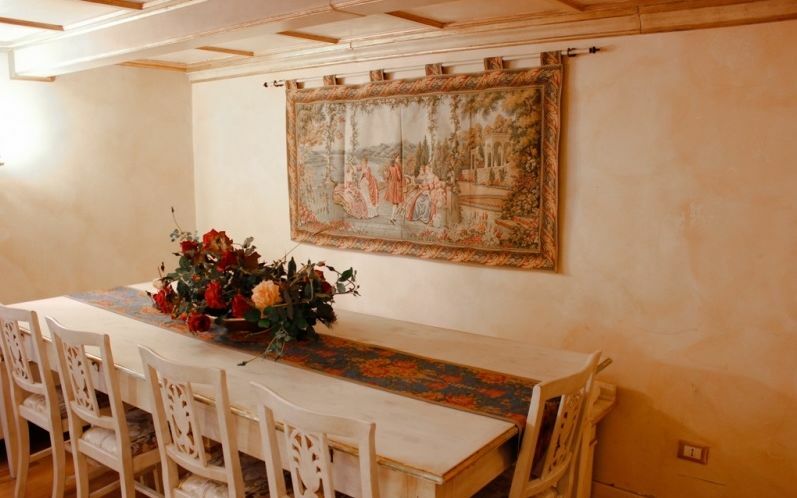 Through a wood and glass door, decorated with a transparent lily, traditional Florence symbol, we enter the kitchen. 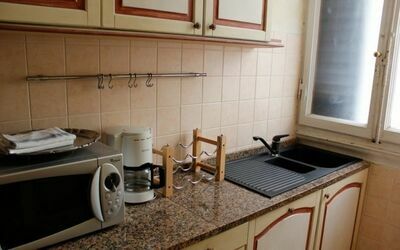 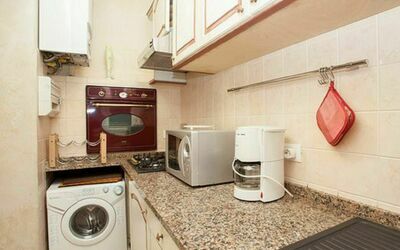 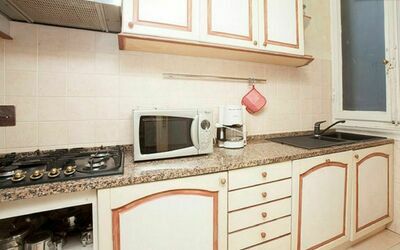 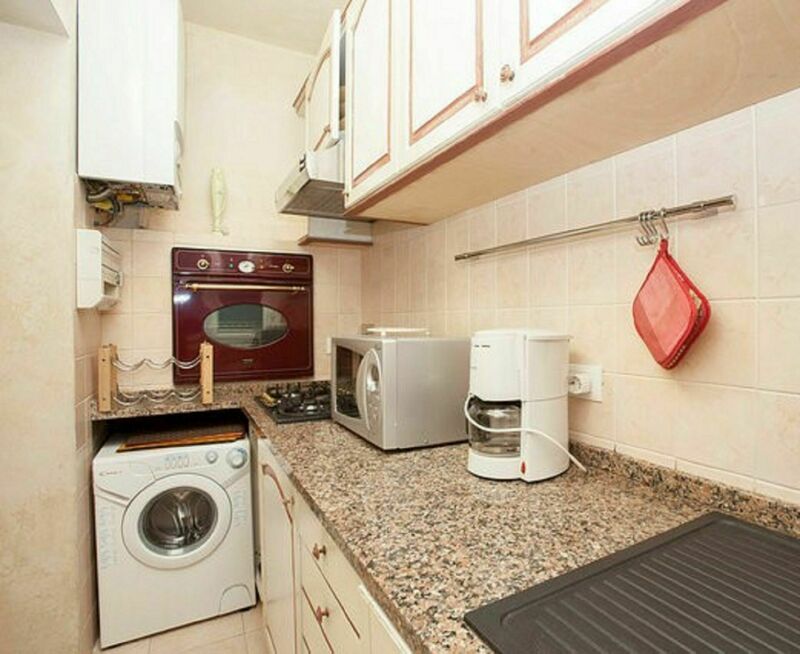 Fully equipped with microwave, four-burner gas cook-top, oven, fridge with freezer, dishwasher, washing maschine, American and Italian coffee makers, toaster, crockery and kitchen linen. Dec 31, 2018 Dec 31, 2019 Any 2 € 284 n.a.